*** This is the subscription version of Anatomy & Function. It is exclusively for institutions with subscriptions and for promotional purposes. 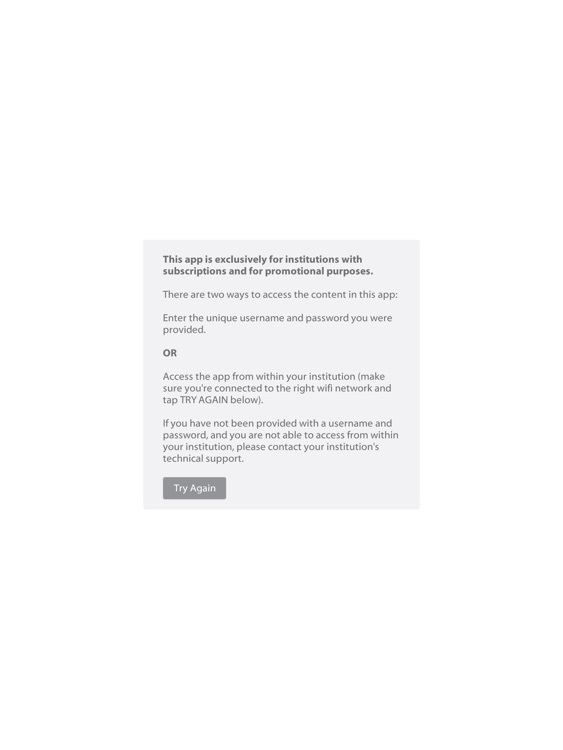 *** There is a version of this app that does not require a username and password or subscription. 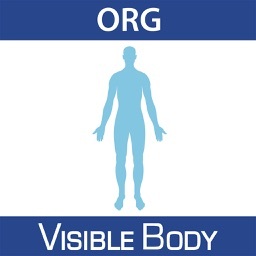 To find and download it, search for Anatomy & Function by Visible Body. 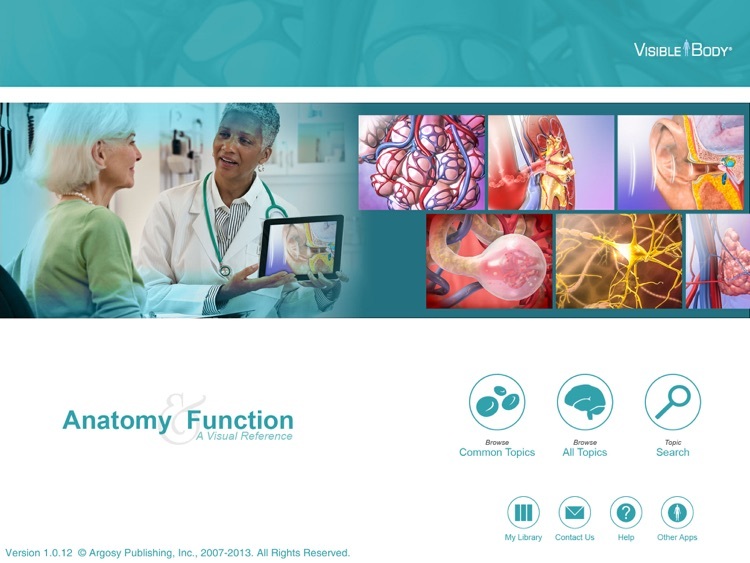 ***** Anatomy & Function offers hundreds of interactive presentations that review anatomy and basic human body functions. ***** Use the animations, illustrations, and 3D models to review for yourself, or to communicate anatomy and physiological processes with patients or peers. 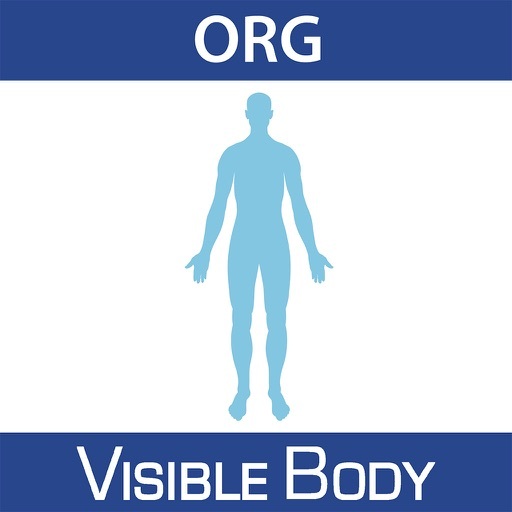 It's a visual and interactive medical encyclopedia to learn and share facts about the anatomy of the human body. ***** Content is organized by common functions and by body systems. There is also a robust search function and the option to create your own list of customized and favorite visuals. ***** Rotate, zoom into, and dissect 3D models. Draw, add labels and text to the images on screen. Save these to the app’s library or share over email. ***** Works on iPad 2, new iPad (3rd generation), iPad with Retina display, (4th generation), and iPad mini.